Darling Downs solar is helping the area by providing jobs to locals and kickstarting the economy – with one council already approving $6b worth of wind and solar projects. There’s now a ‘buzz’ around the Darling Downs and renewable energy – let’s take a look at what they have in the pipeline! “We’ve got $1.2 billion of that under construction now, and that’s the exciting thing, this isn’t just about approvals, this is about action to deliver renewable energies to this region,” Western Downs Regional Council mayor Paul McVeigh said in comments to the ABC. “This region is about growth and development and we can sit here and go poor slowly or we can progress our region and the more development we can get in our region the more jobs,” Ms Dobie said. “This is a turning point in our region to show we are moving forward, that we are looking to the future, and there is nothing more evident than that than renewable energy. There’s been an amazing amount of renewable energy movement in Toowoomba – with the billion dollar project at Bulli Creek approved by the Tooowoomba Council. 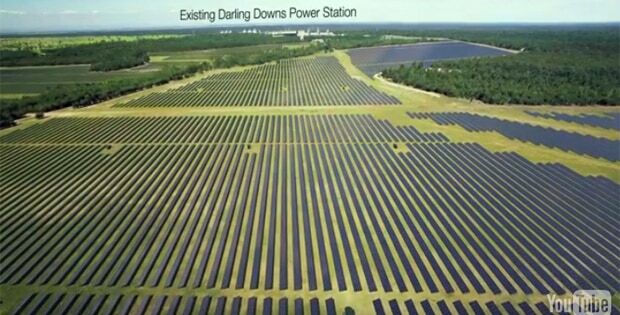 This will be built by Solar Choice over a 10 year staggered period. Have a look at the short video below from ABC Landline which was part of an article about using ‘good farmland’ for solar farms. UTS Solar – aiming to fully offset all energy. 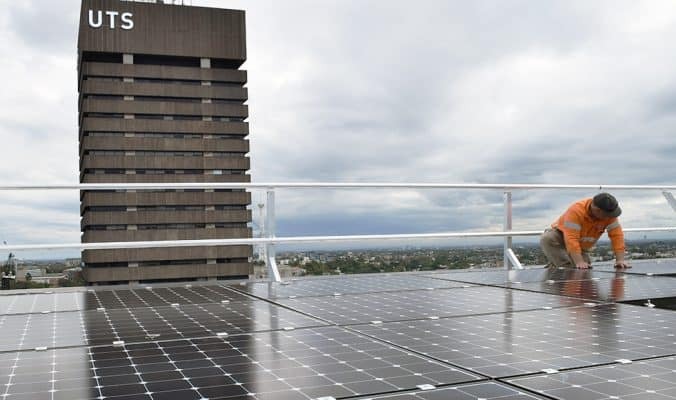 UTS Solar and renewables – the University of Technology Sydney have asked for proposals from large-scale renewable energy projects as they’re hoping to enter into a Power Purchasing Agreement (PPA) in order to fully offset the energy usage of buildings developed under UTS’ $1.3b City Campus Master Plan program. According to the UTS Newsroom, their goal is for renewable energy purchasing to meet 40-50% of the university’s entire needs by 2019. The energy requirements of the newest buildings at UTS will be fully offset and are a great representation of UTS’s ongoing commitment to sustainable operation. According to Vice Chancellor Woods, “Corporate renewable energy PPAs are a method for institutions to secure competitive and firm energy prices whilst contributing to our sustainability objectives. They’ve been particularly successful in the US for corporations seeking the benefits of renewable energy. The ACT and Victorian Governments, and Telstra have had similar success in Australia.” Woods noted that there are already a number of projects with DA, ready to break ground, but need a PPA for the generation so they can secure financing – so hopefully one of them can pair up with UTS and get started! UTS could purchase large-scale generation certificates (LGCs) and electricity for a 10-15 year period – and according to the tender, they plan on implementing the PPA within the next two years. As such renewable technology projects of suitable scale and in the correct phase (i.e. already under development/with development approval and awaiting a PPA) are being sought to tender. University solar farms are far from a new thing, with the University of Southern Queensland’s innovative solar carpark winning awards and saving USQ over $1m so far. Although UTS isn’t actually installing solar in this circumstance, it’s still fantastic to see them tendering for a PPA – they do have a lot of solar panels on the premises and support many different renewable endeavours – such as the Solar Stand and their Centre for Clean Energy Technology. The University of Southern Queensland’s innovative solar carpark has already resulted in over $1m in savings and has now been recognised by winning an award. The USQ Solar project has won the top prize in the over 240kW category at the Solar Design and Installation Awards. Another great win for Toowoomba Solar, USQ, its students, and solar power as a whole! The 1.1MW (1095kW) solar-powered car park at USQ’s Toowoomba Campus was designed by Matthew Linney and Peter Cook. It was installed in conjunction with Autonomous Energy and has resulted in a significant reduction in carbon footprint and also generates approximately $1m in electricity savings and large-scale generation certificate revenue. It consists of 3842 285W panels – with a minimum energy output of 1.8m kWh/year. This represents an annual carbon offset of around 1479t CO2-e. The project uses LG Chemical battery storage installed on the Engineering and Surveying Building. 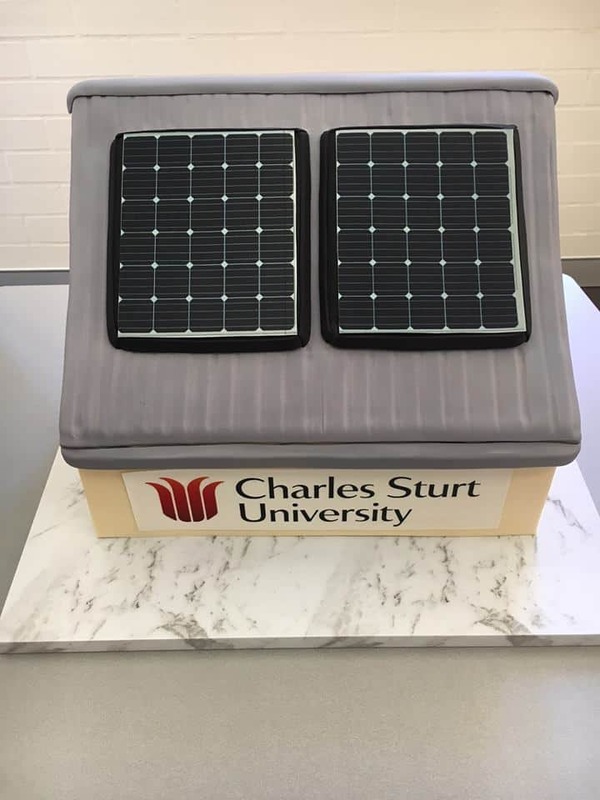 “The solar solution delivers not only a measurable reduction in short and long-term grid energy consumption, resulting in reduced carbon emissions, but it also provides a significant platform for research, learning and teaching,” said USQ Executive Director Dr Dave Povey. There’s a livestream of the project available on the USQ’s solar website: click here to view it. USQ Vice-Chancellor and President Professor Jan Thomas said the University generates 16 000 tonnes of carbon across its three campuses every year, with electricity accounting for approximately 88 percent of this figure. Professor Thomas discussed USQ’s plan to try and cut this down, starting with ‘four football fields’ of solar panels on the Toowoomba campus carpark: “With a capital cost in excess of $6 million, the solar solution project will be rolled out in three stages with final work completed by the end of next year,” Professor Thomas said. We’ll keep an eye on the project and update you as soon as they’re working on stage 2.